From the smallest experience to the greatest understanding of the workings the hologram, we define ourselves by what we consciously experience at any moment as we move through time and space thus making us the center of our own universe with the eternal feeling that some greater destiny awaits. Today is the anniversary of the birth of Nicolaus Copernicus the first astronomer to formulate a scientifically based heliocentric cosmology that displaced the Earth from the center of the universe. Like Copernicus, we go beyond our boundaries on all levels of awareness to find that destiny - the final truth that stirs the soul and the imagination and makes our journey here worthwhile. Before leaving for Nashville, I blogged about Pope Benedict XVI resigning and a near-Earth asteroid - a celestial body that was to come close to Earth on a day I would be in the air. Something about that event stirred my soul - not to mention the word asteroid always takes me to Zoro-aster which means Zero Star. In astronomy, an asterism is a pattern of stars recognized on Earth's night sky. As I boarded my flight, one thing was certain - another marker would be shown on this day. Later, when I read about the 2013 Russian meteor event, all I could think was "The pope dodged another bullet" the image of lightning striking St. Peter's Basilica after the pope announced this resignation, fresh in my mind. The Christian world would never be the same as somewhere deep inside, followers of the Roman Catholic Church felt a shift in consciousness filled with the emotions of all souls who believe in the enigmatic concept of a god creator. On Sunday "God" spoke again as a 4.8 earthquake struck Italy at 4:42 PM that was felt in Rome. Also on Sunday, two earthquakes struck southwestern Greece, both with magnitudes of 5.0 but with different epicenters. While I was away, I used my iPad to read the news about the meteor, which mentioned everything from increased UFO sightings that day, ancient aliens returning, the Tunguska Event, a meteor spotted over Northern California, and the obvious metaphor of the pope sustaining a head (consciousness) injury during his trip to Mexico last March (2012 - Mayan Prophecy year). Everyone has a theory, prophecy, and opinion. To me, it's all awakening messages for people in different grids. I would say, "Until the clock stops ticking" but I no longer "hear" the clock. 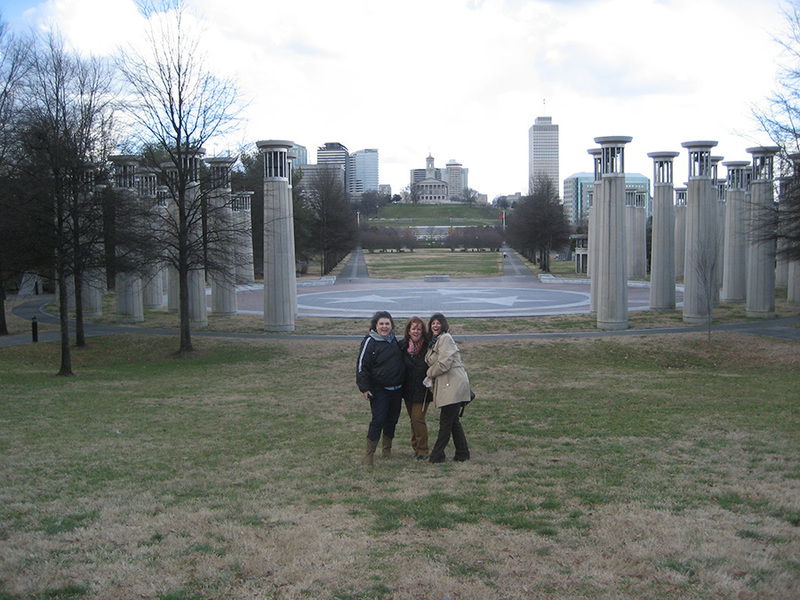 My adventures in Nashville were action packed from the moment we got there until we left four days later. 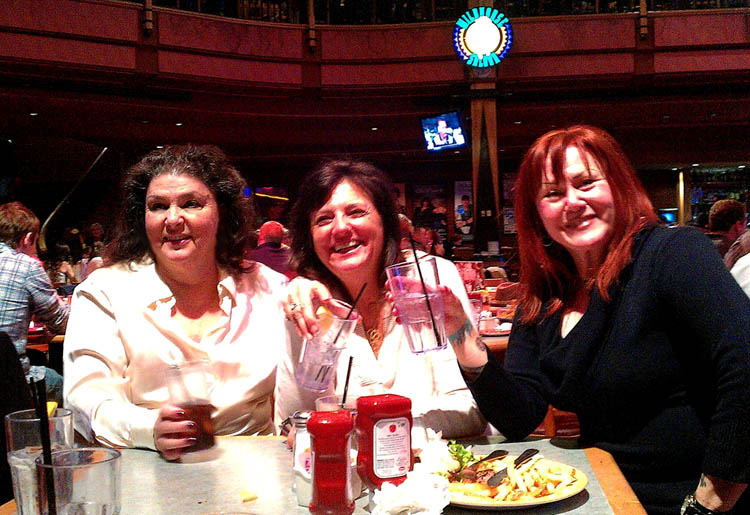 It all started Friday evening at the Wildhorse Saloon where I celebrated birthdays with Brenda and Ellie and learned to line dance. 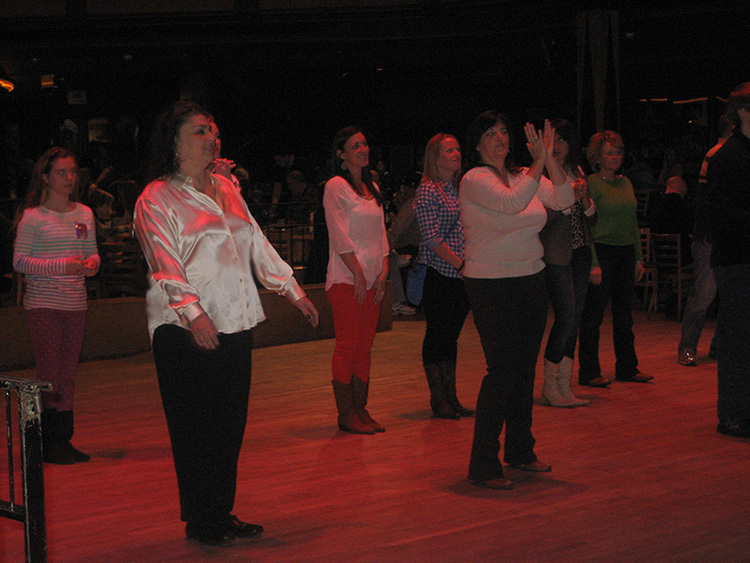 We visited the Honky Tonks (my personal favorite) - more music, dancing, and singing Happy Birthday. 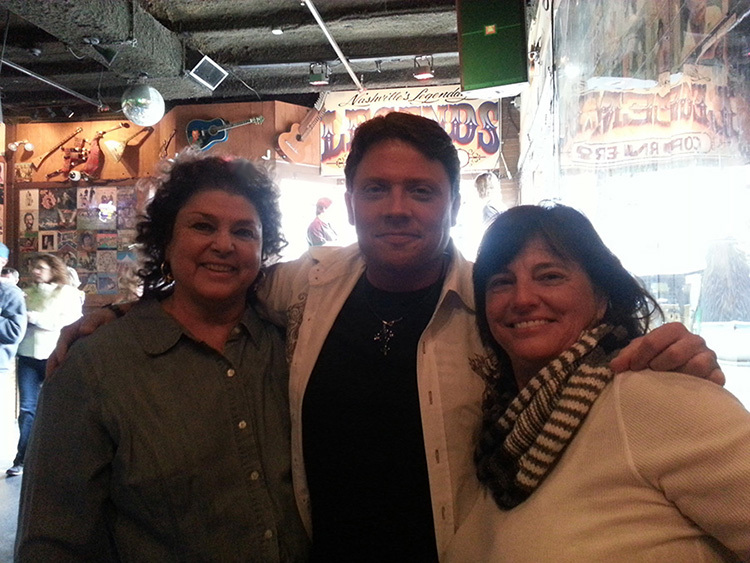 One of the amazing musicians we met Saturday at Legends Corner. 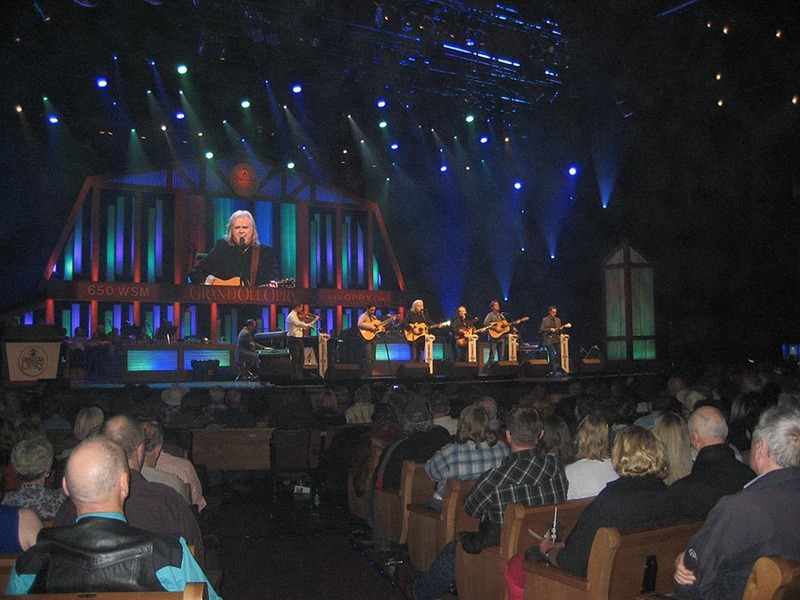 Saturday night we went to the Grand Ole' Opry where I sat behind a man celebrating his 80th birthday. 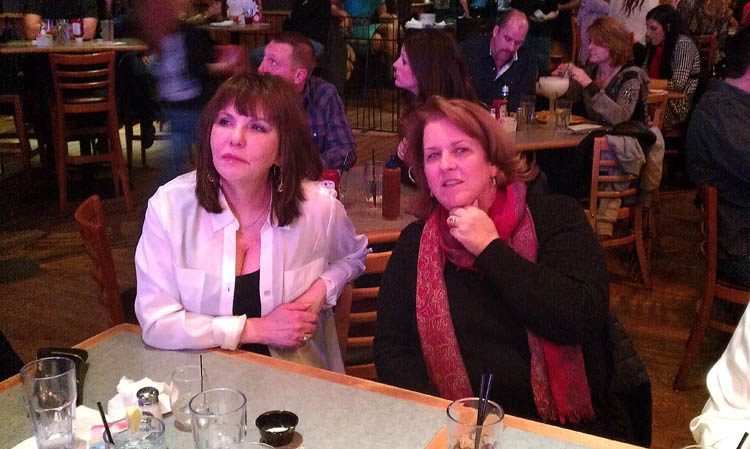 With few exceptions, the entertainers that night were old timers like myself. When they talked about the old days, I was proud to be familiar with not only the musicians but their music. 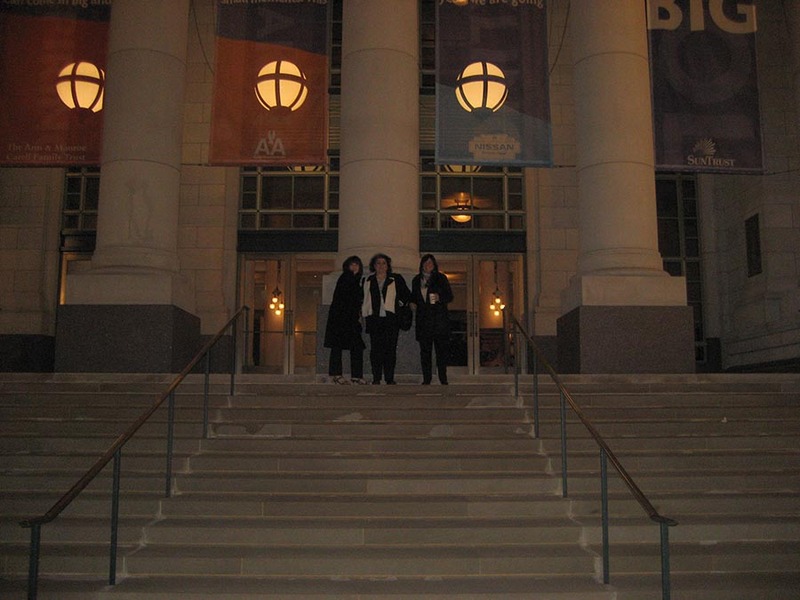 Sunday, on my birthday, we saw Clint Black and Lisa Hartman Black at the Schermerhorn Symphony Center - standing ovations all around. Something stirred my soul after we returned to the Hutton Hotel, so I got the cards I use for my readings ... the girls and I found a quiet booth in the hotel restaurant - the 1808 Grill (great numbers). And there we sat, reading on many topics - personal and global - before walking back to the elevator at the end of the night. The energies continued to stir. Waiting by the elevator was a really hot looking guy (30's) whose energies connected with mine. There was something about him that created an energetic connection. When he heard us mention that it was almost exact the time of my birth (11:25 pm Eastern Time) 70 years ago, he couldn't believe it. Tick tock ... it was official ... I was 70. It was a fun chance encounter in time where grids collide and recognition is made on a soul level. Monday, as I was alone on the elevator, getting ready to check out, once again fate brought Chris into my life. We laughed as the elevator doors opened on his floor and he got in, that sign of recognition still there. As it turned out, 2 of the 3 elevators weren't working, this one having a mind of its own ... taking us to the basement (laugh), which surprised us. There we waited and talked about our lives, again feeling a connection beyond age ... just something guided by fate. As it turns out, his name is Chris Carmack in town from L.A., to work on the TV series "Nashville" as a musician and actor. 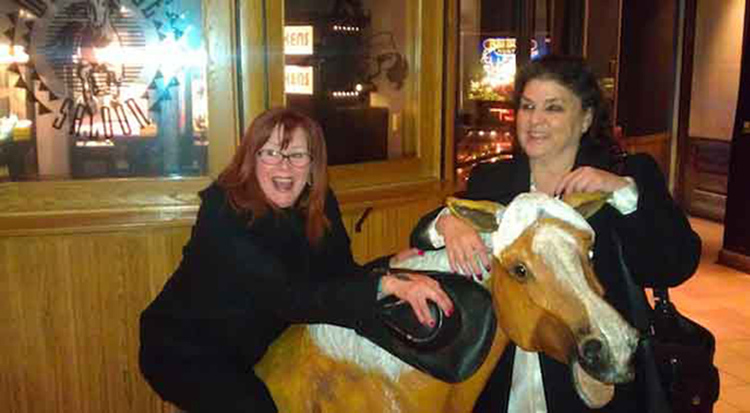 A few minutes later, the elevator started again and we arrived in the lobby saying good-bye. It was time to go home ... yet something still stirred. Pat, Mallory, and I got into the taxi (minivan). As we pulled out of the driveway, who should cross the street in front of us but Chris. It was time to freeze the action so I could give him my business card. The driver pulled over as we called out. Chris turned around ... smiled and walked over. Then something funny happened again. The window next to me on the passenger side didn't open. The driver slid my door open so I could hand Chris the card. As he reached for it ... the sliding door started to close ... Chris yanking his hand back. The door opened again. I tired to hand him the card and again the door started to close (it didn't have a sensor). We did this several times, really funny, until the driver ran around to the side of the taxi and held the door in place long enough for Chris to take my card. Ok ... we know life is a game and what I recognized in him was humor - which is our finest asset as a species. The driver got back into the taxi as we drove off into the blue. 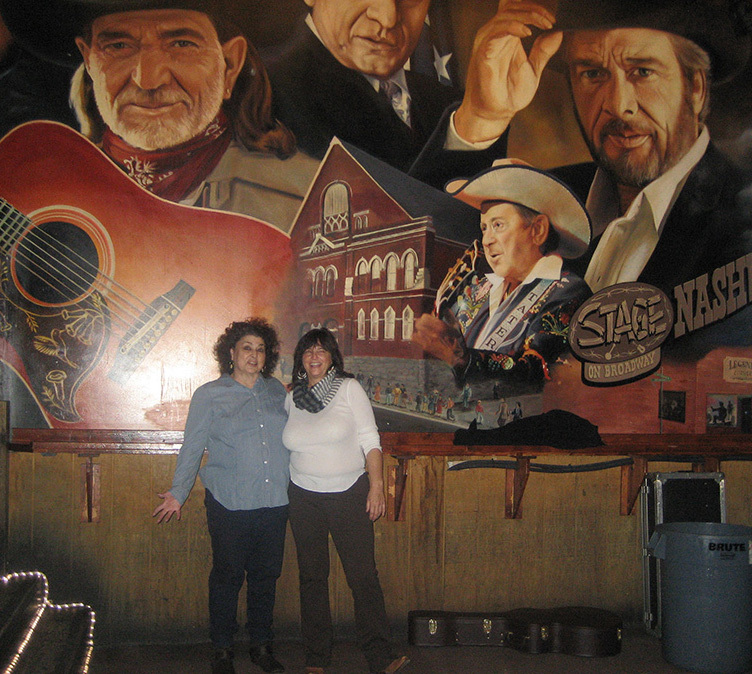 My vision of this trip was about fun, music, honky tonks, a synchronicity or two, not much sightseeing or shopping ... and it did not disappoint. Though I didn't think I would buy anything - I bought a pair of western boots. 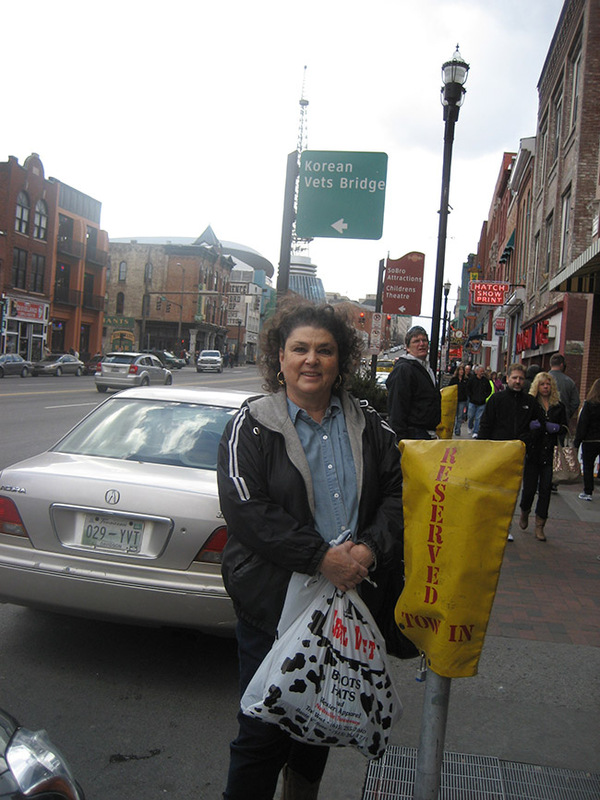 Broadway - Shopping, Restaurants, Honky Tonks - there was even a psychic who was closed that day. We took a Hop On-Off Trolley tour on Saturday and learned about the city. You could feel the energies of the singing greats from years gone buy, who have since crossed over - all that music ... all that energy ... all that drinking ... yes Nashville is indeed a drinkin' town. I didn't drink - hate the taste of the stuff and always like to have a clear connection to Z. As we drove past the Bicentennial Mall State Park, I saw ghosts everywhere, further proving that reality is projected illusion ... another time ... same space ... as a reference to the many levels of reality that simultaneously exist in the hologram. 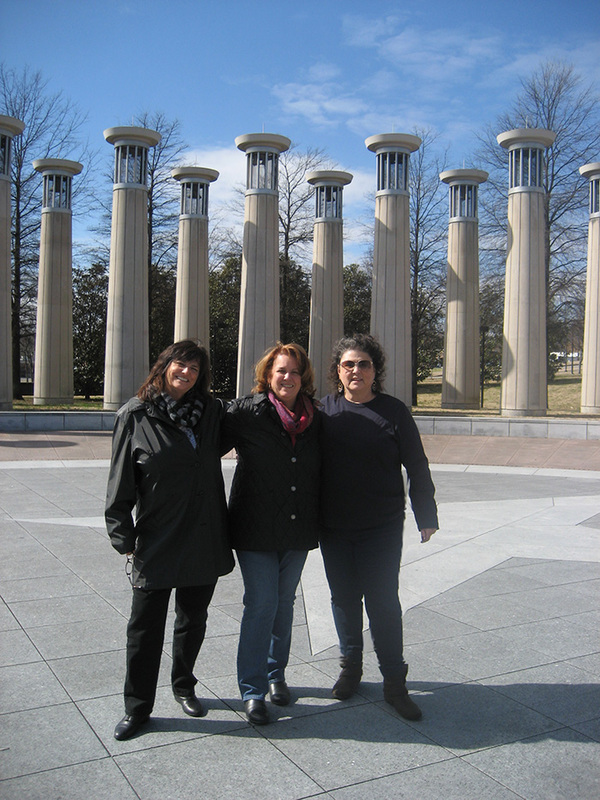 Sunday, Brenda, Pat, and I went back to the Bicentennial Mall to experience the echo of the columns as if opening a portal to another reality. You face north .... step on something that looks like a nail in the ground in the center of the columns ... say something ... and your voice echoes throughout the circle. After about a minute of having fun listening to my echo, and imagining that someone "up there" heard me and was going to open a portal or something cool, I looked at the sky. I know it's domed shaped, but now it looked like an actual dome that was spinning counter-clockwise (returning to zero point). Ah ... I could see how we live in a fake reality governed by the laws of physics as they exist here, but more to the point, the laws of consciousness. Did we open anything other than our minds and awareness? Ya' never know. Harmonics creates and therefore destroys at the end. It just felt like the right thing to do at the time. 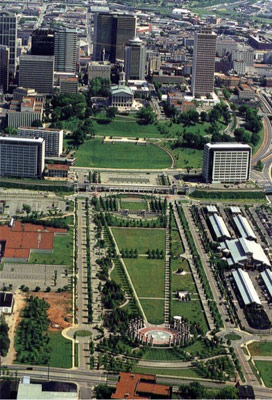 The Bicentennial Mall is a giant wand of power, with quartz crystal, and built on ancient Indian lands where probably thousands of people are buried. It was documented by William Henry who says it's basically a giant coffin! 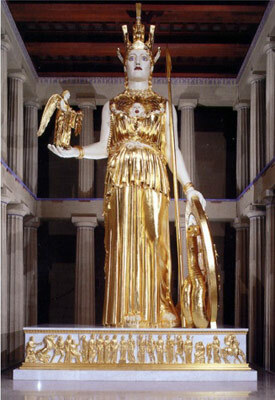 William, Nashville's resident psychic/investigative mythologist, believes the mall is another secret coded alchemical/Masonic/Sumerian illumination device connected to the nearby Parthenon that houses a giant 50 foot gold statue of Athena. William writes: When the Mall was opened it was proclaimed the sister complex to the National Mall in Washington DC, a fact which sends Masonic bells ringing for some. Could Revelation's mysterious woman clothed with the sun be the gold (sun) clad Athena? Has the rod of destiny, in the form of a 2,200-foot long living temple, manifested in Nashville? Is Nashville the ultimate light center? I would have agreed with William's research in the past ... still why does all of that geometry feel like it belongs in another program ... long ago and far away ... not part of what we are experiencing or are about to experience as major events unfold around the world. Just like the meteor, the markers always come out of the blue as will The End.